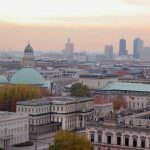 Treat yourself by staying at one of the best boutique hotels in Berlin! 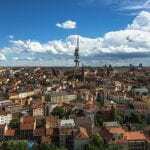 Berlin hotels are abundant, but this guide will help you find the best possible one for your trip to Germany’s capital. Berlin is a city with a (sometimes) dark and fascinating history. 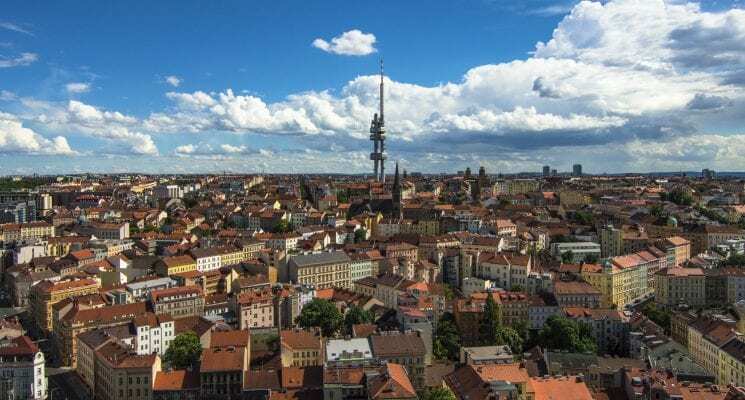 Historical sites and museums galore, Berlin will leave you in awe at how this city has developed over the years to become the bustling and multicultural metropolis that it is today. 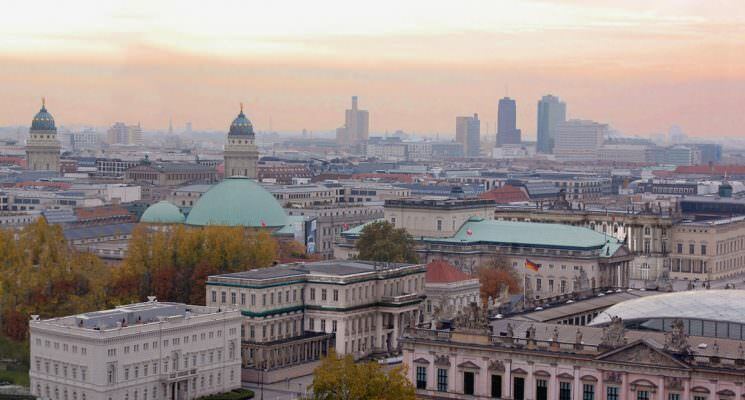 Berlin is a youthful city with a vibrant and dynamic creative and cultural scene. Young artists from around the world have flocked to Berlin over the past few decades, drawn in by the lure of cheap rent and artistic freedom that Berlin values. It’s the real “city that never sleeps”, and partygoers from every corner of the Earth come to Berlin to experience huge industrial techno clubs, basement clubs, operas, cabarets and so much more. 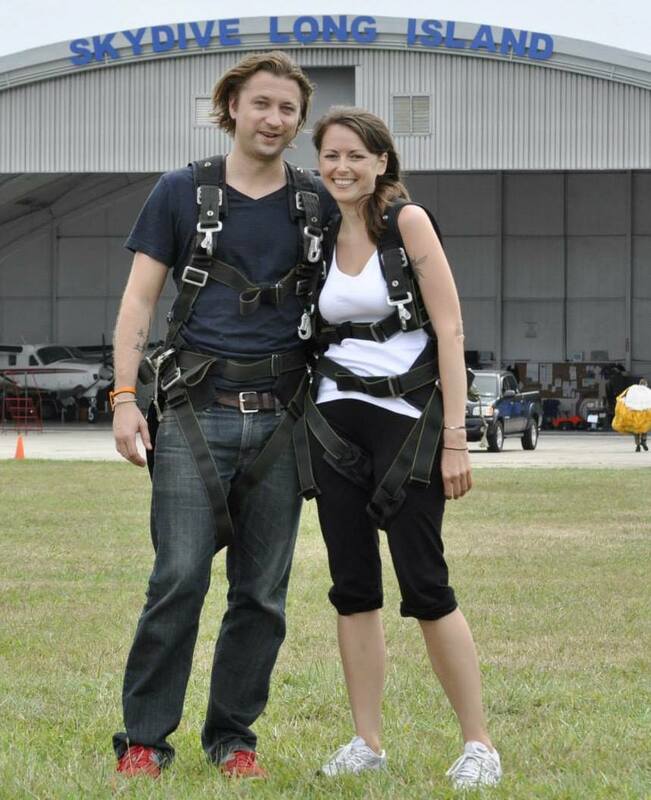 There’s entertainment to be found for every age, budget and personal preference. You’ll have no time to rest if you plan a trip to Berlin. 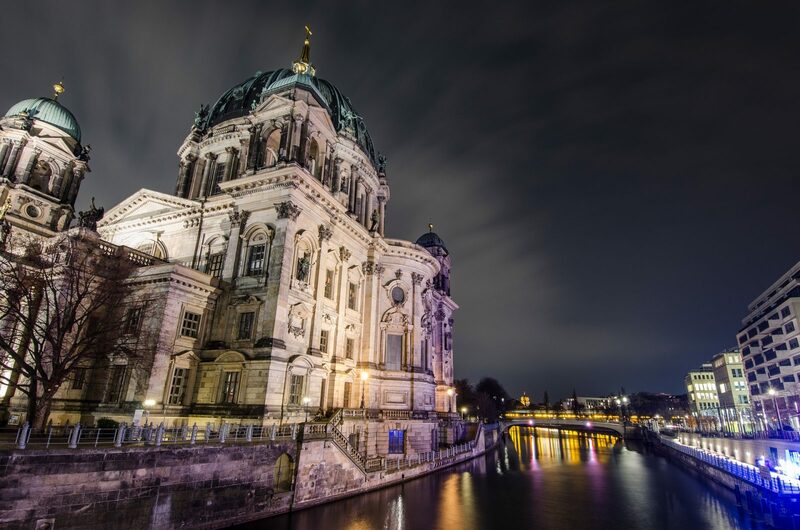 Jam-pack your day with visits to some of the most important historical monuments in the world such as the Berlin Wall, Brandenburg Gate, Reichstag Building and Alexanderplatz. 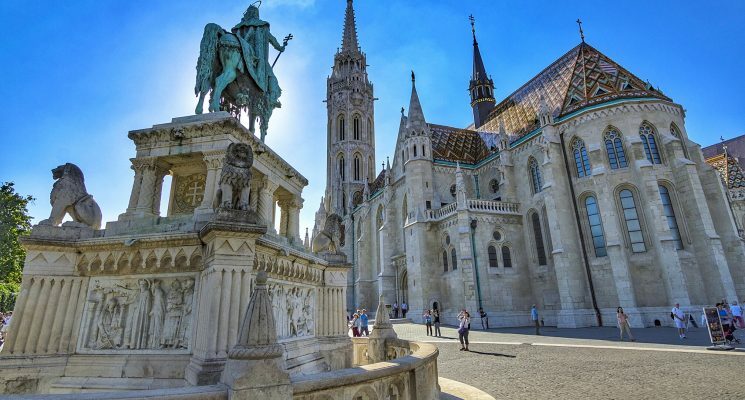 Then, spend your evenings sampling some of the best cuisine from around the world, sipping beer in a beer garden or partying to the early hours of the morning. Berlin is a big city, but it’s well connected with public transport, which makes exploring the city a breeze no matter where you decide to spend the night. There are so many wonderful boutique Berlin hotels in this city, so to help narrow down your choices, we’ve compiled a list of the best boutique hotels in Berlin. Almodóvar Hotel is an environmentally friendly boutique hotel conveniently located in Berlin’s fashionable Friedrichshain district. Offering a variety of stylish and affordable room options, Almodóvar Hotel combines a modern and bohemian atmosphere, embodying the alternative vibe of Berlin. Highly praised for its excellent location, friendly staff and amazing food, Hotel Almodóvar is one of the best hotels in Berlin. 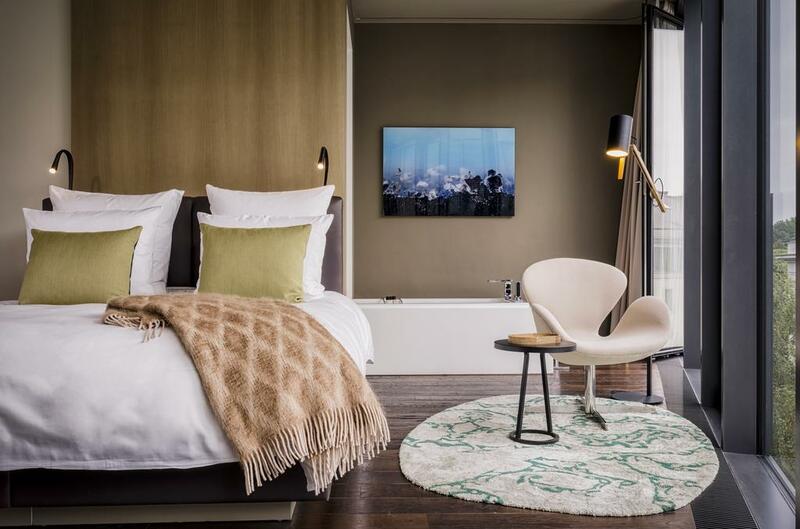 Rooms at this amazing Berlin hotel feature unique rosewood furniture, stunning decor, a yoga mat, and even organic cosmetics. Some of the rooms even have balconies. Other great facilities you can enjoy include a rooftop city spa complete with sauna, a bar, an outdoor terrace, and a bicycle hire service. Bistro Bardot is the onsite restaurant at Almodóvar. All of the food they serve is vegetarian or vegan, organic, and delicious! 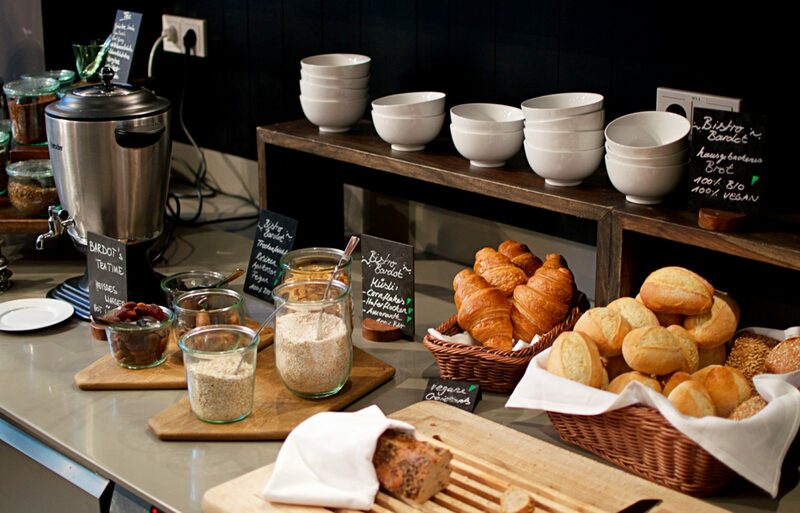 There’s a fantastic breakfast buffet available for guests, so wake up and energize yourself for the day ahead with the restaurant’s homemade Currywurst, vegan croissants, or fresh bread and pastries, as well as some of the best coffee around! 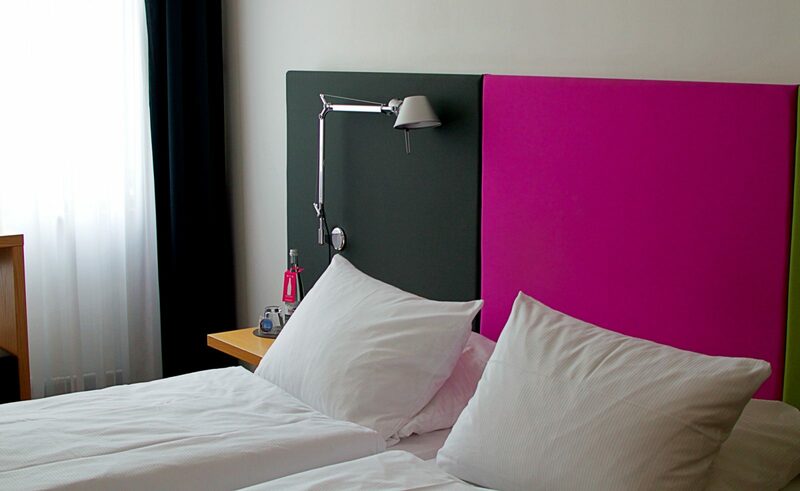 Almodóvar Hotel is in an ideal location for exploring Berlin and all it has to offer. 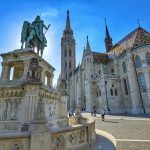 It’s just a 10-minute walk from loads of great bars, restaurants, cafes and clubs, and is also just a 10 minute walk to train station and metro access. Via the metro, you can access all of Berlin’s main attractions and save yourself being on your feet all day. This hotel is ideal if you’re environmentally conscious, as Hotel Almodóvard does all it can to reduce its carbon footprint. 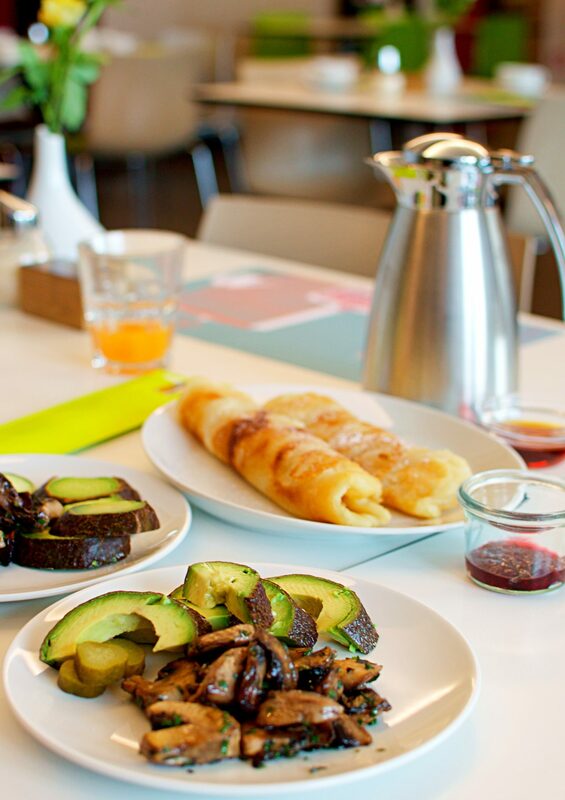 So, if you’re looking for an affordable, environmentally friendly accommodations that caters to vegans and vegetarians, then Hotel Almodóvar is one of the best hotels in Berlin. 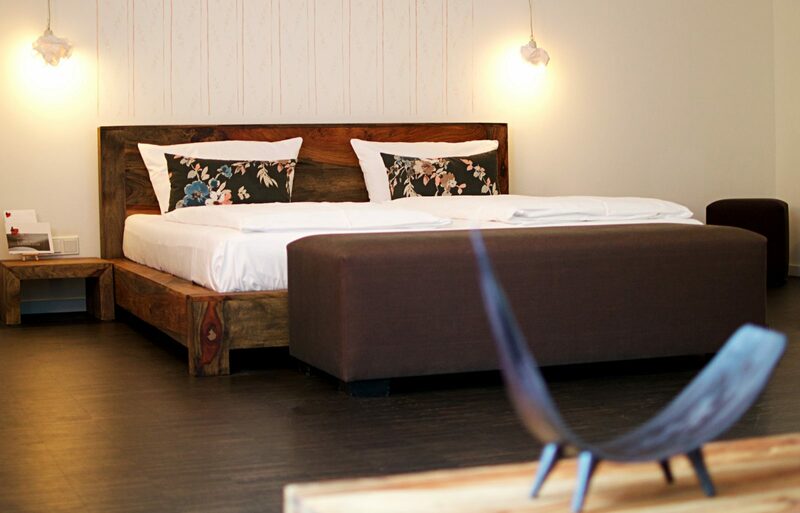 Hotel OTTO is one of the most unique and affordable, centrally located boutique Berlin hotels. Its great location, modern and elegant decor, and delicious buffet breakfast are just some of the reasons why Hotel OTTO is one of the best hotels in Berlin. Location is always an important factor when choosing accommodation for your holiday. 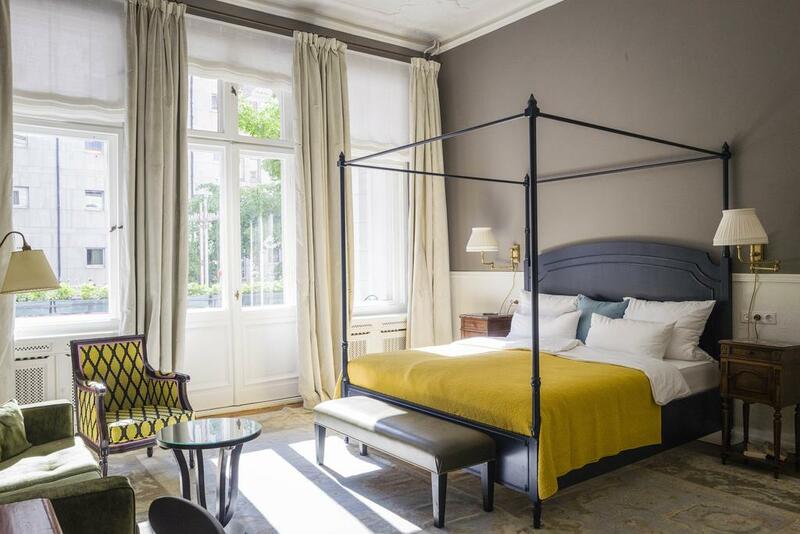 Hotel OTTO is located in Berlin’s Charlottenburg district, just a five minute walk from Savignyplatz Square, and a 10 minute walk to Kurfürstendamm shopping street. The hotel is also well connected with public transport links providing direct connections to Potsdamer Platz and the ICC Exhibition Centre. 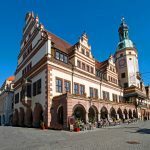 Guests at Hotel OTTO love the neighborhood as it’s quiet so getting a good night’s sleep is easy, but it also has plenty to offer in terms of restaurants, cafes, and shops. Now, let’s talk about the best part of staying in hotels: the buffet breakfast! Hotel OTTO’s breakfast offers a huge variety of food and drink, including smoked salmon and scrambled eggs. Hotel OTTO also caters to vegetarian, vegan, and gluten free dietary requirements. You can even start your day off in the best way, with a glass of champagne at breakfast! What’s even better is that the breakfast buffet at Hotel OTTO is situated in the hotel’s rooftop restaurant, so you can enjoy stunning views of surrounding Berlin while you sip a coffee and ponder the day ahead. Hotel OTTO offers comfortable, modern and functional rooms for very affordable prices. 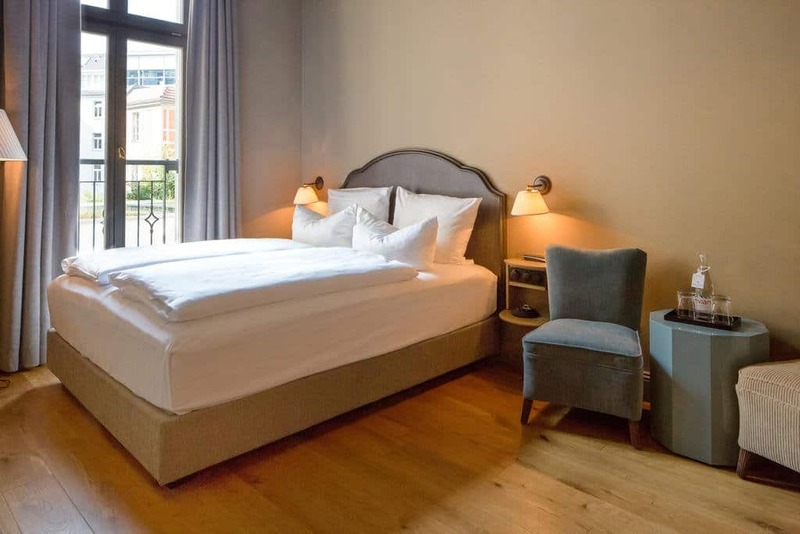 So if you’re seeking accommodation that has everything you need, is centrally located and still remains affordable then Hotel OTTO is definitely one of the best hotels in Berlin! Located in the heart of Berlin, Monbijou Hotel definitely earns its spot on our list of the best hotels in Berlin. Monbijou Hotel is a modern and stylish hostel in a fantastic location just 300 meters from the lively Hackescher Markt square and only 400 meters from Museum Island. As one of the best Berlin hotels, it’s in an ideal location where you can find everything you need with just a short walk. Surrounded by cafes, restaurants, bars and shops, there’s plenty of ways to spend your downtime. Hackescher Markt S-Bahn Train Station is just 150 meters away, and provides connections to Alexanderplatz. Rooms are “British style”, with wooden floors, big windows and simple but effective decoration. Each room is air conditioned and fitted with a large flat-screen TV if you fancy curling up in bed to a movie. Monbijou Hotel has an on site restaurant, and you can enjoy delicious breakfast for a fee every morning. There’s an outdoor dining area, as well as a bar and even a library, so you can find something new to read. Staff are super friendly and always willing to lend a hand. You can also organise tickets and tours at the reception. We recommend you take advantage of their bicycle hire service and explore Berlin by bike! If the kind of accommodation you seek requires elegance, comfort and a relaxed atmosphere then Monbijou Hotel is the ideal choice for your Berlin getaway. Das Stue is one of the best hotels in Berlin because of its great facilities, comfortable rooms and fantastic restaurant. Located next to Kurfurstendamm shopping street, this hotel is accessible with public transport, and is surrounded by plenty of bars, restaurants and shops to keep you entertained. Offering standard and suite room options, each room is modern and elegantly decorated. All rooms are air-conditioned and have secure locker facilities. Some of the rooms have balconies, and all of the bathrooms have amazing rain showers! The hotel offers room service, so you can enjoy breakfast from the comfort of your bed if you want. Some of the facilities that the hostel offers to guests include a gym, sauna, massage service, a swimming pool, bicycle hire options are well as a ticket and tour service. Pamper yourself in the wellness centre after a long day of sightseeing or kick back and relax with a good book in the garden. Das Stue Hotel has a Michelin star restaurant on site, serving mouth-watering gourmet food and a fabulous selection of beverages. It’s open for breakfast, lunch and dinner, you won’t be able to resist! Located on a lively and stylish side street in Berlin’s district of Charlottenburg, Henri Hotel is just a 10 minute walk from Kaiser-Wilhelm Memorial Church and the underground station linking to the rest of the city. 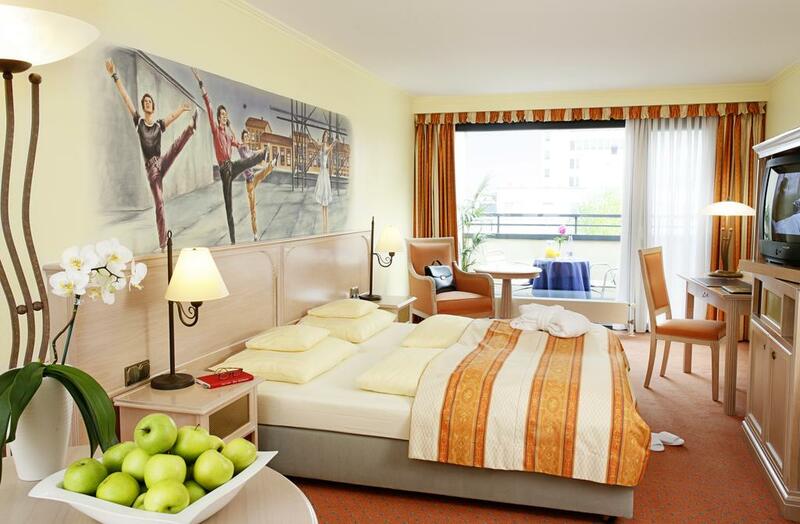 This hotel is in a convenient location for exploring Berlin by foot or bike, and is one of the best hotels in Berlin. Henri Hotel is a stunning Art Nouveau building from 1880, and features high ceilings, marble floors and stucco designs which make you feel as though you’ve stepped into a time machine. Rooms are elegantly decorated with ornate vintage furniture, you’ll feel like a royal if you decide to stay at this hotel. There’s an outdoor terrace where you can soak up the sun, as well as a stylish bar open late and a tour desk where you can book tickets for excursions and tours. Henri Hotel is a great choice for travelers seeking luxury comfort and a central location. Hollywood Media Hotel is a modern boutique hotel with the themed around – you guessed it – Hollywood. This hotel is one of the best hotels in Berlin because of its fantastic location, comfortable rooms and attentive staff. Each room is adorned with a biography of a classic film star or director such as Elvis Presley and Audrey Hepburn. Decor is classic and stylish, while still maintaining a homey feel. Take advantage of the breakfast buffet and cram yourself full of delicious pastries, fresh fruits and delicious coffee. Vegetarian and gluten-free options are available here. This hotel has so many fantastic facilities for guests to use, so there’s plenty to do in your spare time (if you have any). There’s a bar on site where you can treat yourself to an exotic cocktail (or two), and two partner restaurants that are also on-site. Cleopatra’s Spa features a Finnish sauna and steam room, and massages are available upon request. If that’s not enough to convince you, there’s also a gym and a solarium making it one of the best Berlin hotels you can stay at. Hollywood Media Hotel is wonderfully located within walking distance to many of Berlin’s main attractions. 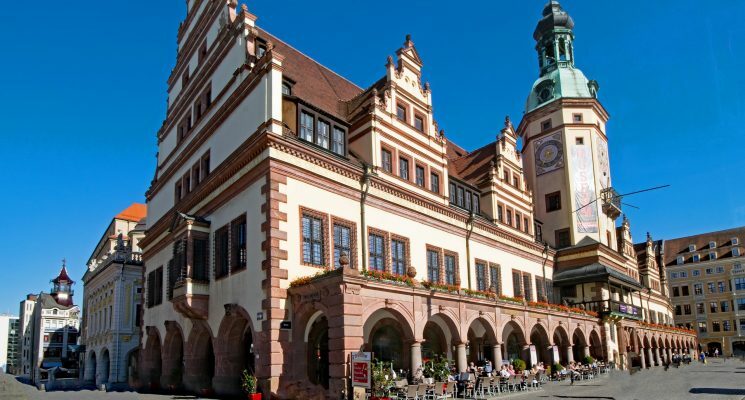 Only 15 minutes from Savignyplatz Square, there are plenty of restaurants, cafes and shops surrounding the hotel as well. This hotel is a great choice for those who like to explore their travel destinations by foot. Big thank you to Hotel Almodovar and Hotel OTTO for hosting us during our stay in Berlin.